»Learner Engagement»What is academic rigor? Academic rigor is something we hear thrown around with other educational buzzwords, but not often defined. What does it mean in a practical sense? Rigor is not just about giving harder tests, assigning more homework, or providing extra credit for overachievers. Academic rigor is about creating challenging, engaging, and engrossing lessons that encourage each student to think in new ways. She distinguishes real rigor from “rigor mortis,” where more difficult work is simply taken on by the instructor, leading to burnout. Ask yourself: Are you working harder than your students? Are student tasks aligned with these 4 principles? Are students doing the thinking? Or is the instructor telling them how and what to think? 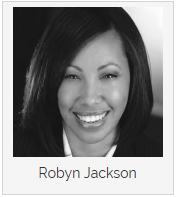 Learn more about how Robyn defines rigor in her MindSteps website.